There are many ways a person could incur a brain injury. Some involve external forces, such as hitting your head while playing soccer, while others are internal stresses, such as neurological impairment caused by a stroke. 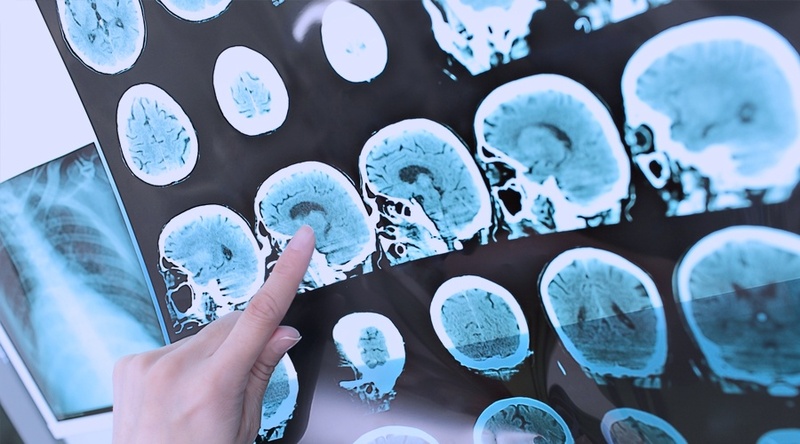 A traumatic brain injury (TBI) occurs when brain tissue is either stretched or torn, often caused by a severe impact to the head, from various sources, including: violent events, sports activities, falls, trips, accidents, or car crashes. An acquired brain injury (ABI) encompasses any head injury that takes place after birth, including: those caused by strokes and heart attacks, poison or exposure to toxic substances, tumors and aneurysms, strangulation, choking or drowning, drug abuse, encephalitis, meningitis and other infections. TBIs can also fall under this category. An anoxic brain injury is a type of ABI in which all or parts of the brain are deprived of oxygen. Because oxygen is such a vital element for our bodies, being deprived of it for even a short amount of time can cause severe damage, such as loss of speech, vision problems, memory loss, and irritability. A person may suffer from an anoxic brain injury as a result of a near-drowning experience, stroke, carbon monoxide poisoning, choking, suffocation, or drug overdose. Contusions are bruises, which are simply injured body tissue, that result from ruptured blood capillaries. This type of injury can also affect other areas of the body. For example, if you get kicked in the shin during a soccer game, you may notice a contusion in the affected area within a day or so. However, a cerebral contusion refers to a bruise on brain tissue, and is considered to be a form of TBI. Depending on the severity of a contusion, a patient may need to seek medical treatment to help resolve the injury to the brain. A concussion is a type of TBI. It is can be caused by sports-related incidents, motor vehicle accidents, falls, and more—pretty much any case in which someone hits his or her head, the possibility of a concussion is present. When someone suffers from a concussion, he or she may also suffer from several cerebral contusions as well. Whether mild or severe, concussion symptoms need to be treated, or at least evaluated, by an expert medical professional. Not treating a concussion can have severe near and long-term effects that impact a person's quality of life, and those around them. When the brain becomes infected, a condition also known as encephalitis, mild to severe brain dysfunction may occur. According to the National Institute of Neurological Disorders and Strokes, a branch of the National Institutes of Health, many cases of encephalitis in the United States are a result of the herpes simplex virus types 1 and 2, as well as the rabies and West Nile viruses, both of which could be caused by an animal bite. If you or a loved one has suffered a brain injury, it's imperative to seek medical attention and receive treatment in order to accelerate the recovery process. One treatment option is hyperbaric oxygen therapy (HBOT). This all-natural, non-invasive therapy exposes a patient to pure oxygen at a higher than normal atmospheric pressure. HBOT could help heal damaged brain tissue by facilitating blood vessel formation, allowing more blood and nutrients to be delivered throughout the body and stimulating the release of stem cells, which also repairs damaged body tissue. Joe Namath, retired National Football League (NFL) quarterback, credits HBOT for improving his brain function. He first began treatment in 2012, and since then he's been a vocal advocate for HBOT, especially for those who have had concussions. Pro surfer Shawn Dollar is a patient of Dr. Scott Sherr, the Director of Integrative Hyperbaric Medicine and Health Optimization at Hyperbaric Medical Solutions. Shawn is featured in a piece detailing how HBOT helped him recover after falling off his surfboard, hitting his head, and breaking his neck. Shawn has made a remarkable recovery from these injuries, primarily as a result of HBOT. These notable examples show how anyone who has suffered from some type of brain injury may want to consider learning more about how HBOT could help them.